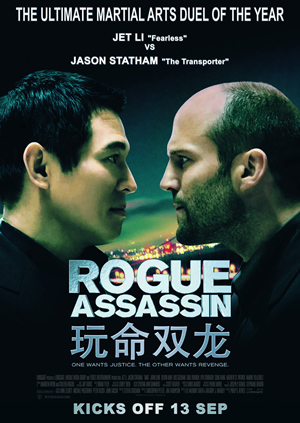 Synopsis: An ex-hitman comes out of retirement to track down the gangsters that took everything from him. 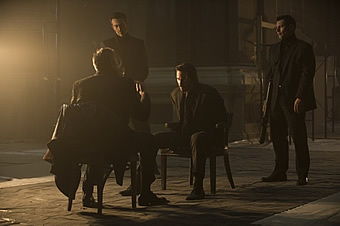 With New York City as his bullet-riddled playground, JOHN WICK is a fresh and stylised take on the "assassin genre". 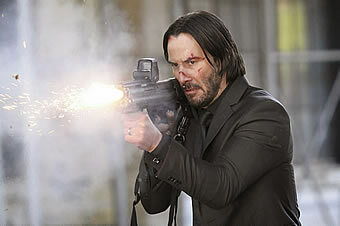 Keanu Reeves shot to superstardom in Speed and that was a stunning two decades ago. Five years after crashing a bus through LA, he reaffirmed his star status in the then groundbreaking sci-fi action flick, The Matrix. Since then, the actor of mixed ancestry has dabbled in a number of high-profile projects and indie titles, produced an acclaimed documentary and directed his very first feature. But he has yet found a role that ranked alongside Jack Traven and Neo. All thanks to stunt coordinators and performers David Leitch and Chad Stahelski (founders of action outfit, 87Eleven), Reeves has finally found a character that redefined his flagging career. 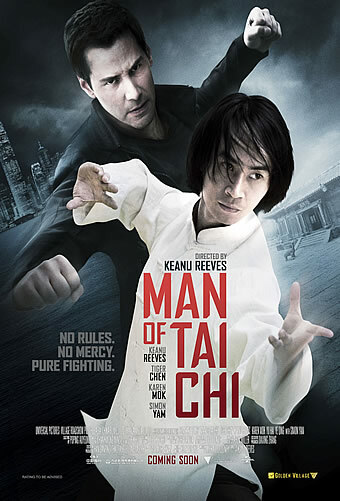 Forgive his almost soulless appearance in 47 Ronin, you want a badass Keanu Reeves action vehicle, you have it in John Wick. The script by the little known Derek Kolstad reeks of minimalism. It’s purely a lazy action movie, one that frankly never pushes beyond the boundary. Yet somehow it works under the hands of Leitch and Stahelski and the casting of our leading man. With hardly a lull, Reeves plays a mysterious ex-assassin, a man so powerful at his craft that people jitters at the mere mention of his name. 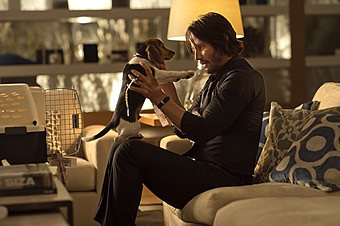 However, Wick decides to retire after his wife fell sick and after the death of his beloved partner, devoted his time to care for his pet dog – the last gift given by his late wife. Unfortunately, the son of a Russian mobster, Iosef (Alfie Allen from Game of Thrones) punctuates Wick’s quiet life after he took a fancy to Wick’s Ford Mustang. Isoef ambushed Wick at his home in the middle of the night, took his muscle car and gasp killed his dog! The ruthless act trigger the anger back in Wick and what follows is the ultimate revenge against those who are hired to stop him from killing Iosef and the target himself. The movie is structured predictably that you already knew what’s coming. 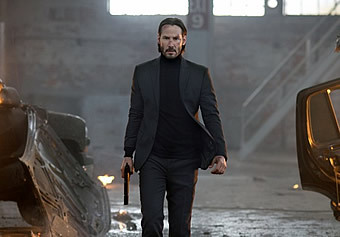 To its credit, John Wick is never pretentious, it served to entertain and it accomplished its goal with much ease in the end. Leitch and Stahelski are such old-timers in the stunt field that most of the action seen in Wick is both beautifully and brutally executed. 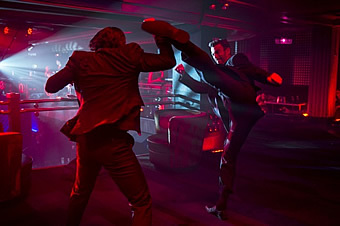 Men are often stabbed, kicked, disabled and shot in the face and to the talented production designers, the numerous action sequences actually took place in a number of different locations such as a disco club, parking lot and hotel room just to give it a little variety. The raw bloody gunplay reminisces one of early John Woo movies and it’s definitely a visual feast. Cinematographer Jonathan Sela (Max Payne, A Good Day to Die Hard) provides the movie with a chilling moody feel at the same time, keeping his lenses glued to the ground forsaking the usage of crappy shaky cams. Just when you thought Kolstad’s storytelling is so uneventful, he manages to throw in surprises after surprises. 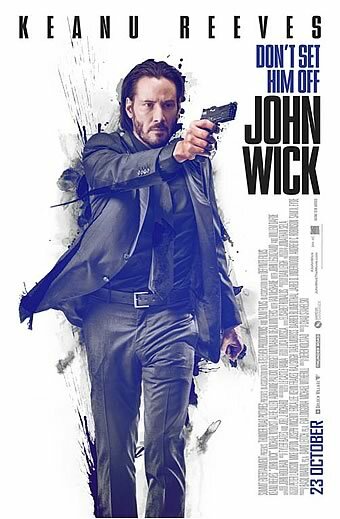 Besides, the laugh-out-loud sardonic humour, the world of thugs, assassins in John Wick is much more than mere clichéd tough Russian mobsters, a promising setup for more sequels to come. Killers stayed in a luxurious hotel and they trade using only gold coins. A specialized crew is hired to clean up crime scenes and disposing the bodies. There are rules to abide with and everyone in this world comes with a price. Besides Reeves doing his tough guy routine and should I add he is damn good at it, Bridget Moynahan (I, Robot) also has a small role as Wick’s wife seen in a brief flashback montage. Swedish actor Michael Nyqvist (Ghost Protocol) plays the movie’s main villain, Iosef’s mobster daddy and he plays it uber-cool. 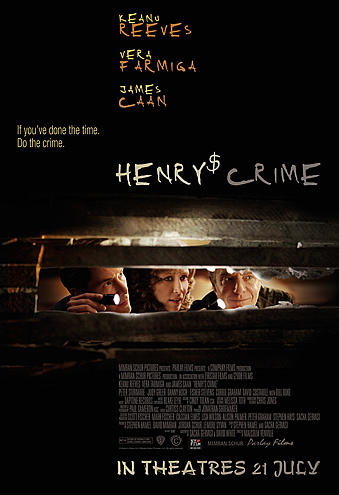 Everyone’s favourite character actors Willem Dafoe and Ian McShane play a fellow assassin and a mysterious hotel’s owner respectively. 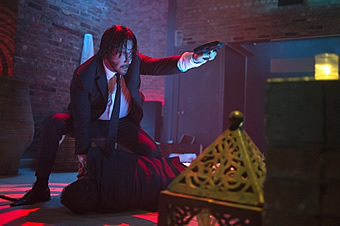 When it comes to voting for a stylish action packed movie for 2014, John Wick easily wins hands down. 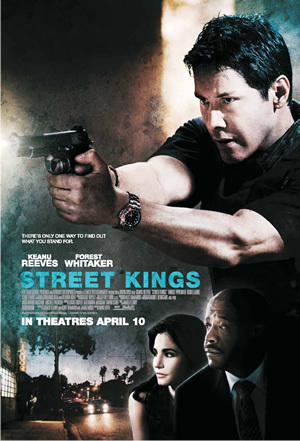 If you missed Denzel Washington hunting down Russian thugs in The Equalizer, then don’t miss Keanu Reeves hunting down Russian thugs. It’s just as crazy but with a dog in the latter, I declared John Wick the winner. Who can resist a cute puppy with Bambi eyes?